Mitch Trubisky scored on this play. The Chicago Bears pulled ahead of the New England Patriots late in the first quarter by cashing in on a touchdown after the Pats fumbled a kickoff. 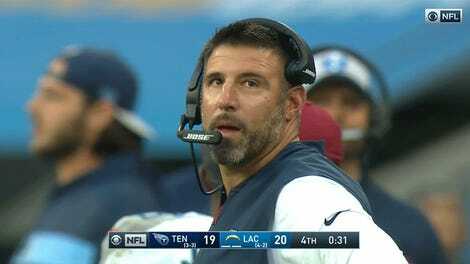 How they did it was awesome: QB Mitchell Trubisky, dropping back to pass on third-and-six, ran about 50 yards in the backfield before scoring on an eight-yard touchdown run. What a jog. What a touchdown. 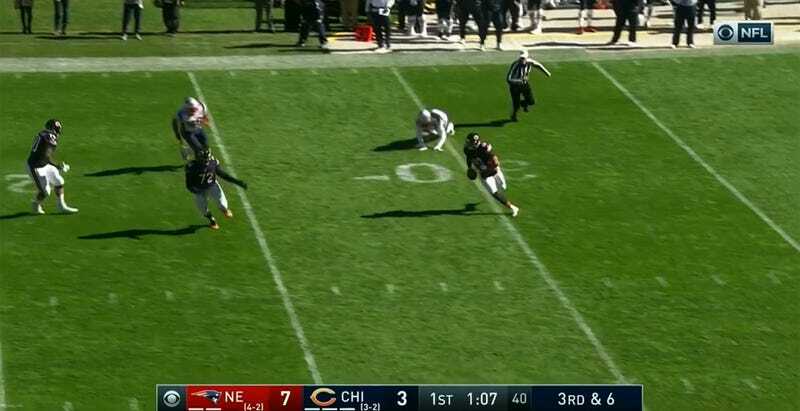 Update: Per Next Gen Stats, Trubisky ran 71.9 yards on this play.